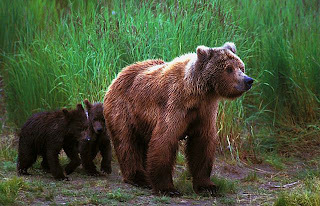 Animal Wildlife | Bear | Bears are large dog like mammals found all around the world. 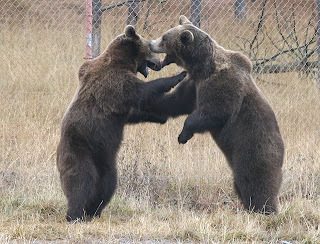 There are eight different species of bear that are found in a wide range of habitats in both the Northern and Southern Hemispheres, mainly the Americas, Europe and Asia. Most bears are nocturnal, solitary animals only really congregating during the bears mating season. 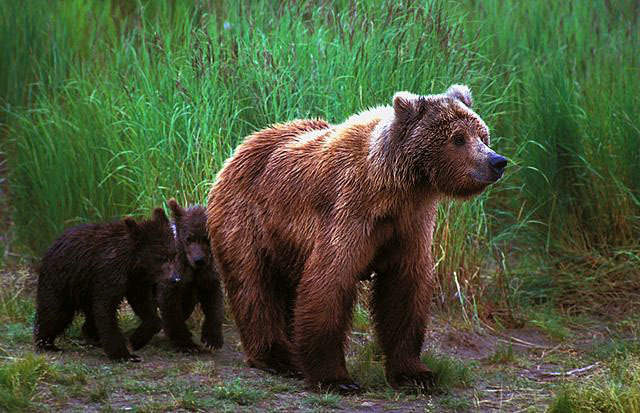 The mother bear will then raise her cubs until they too, are old enough to live on their own. Bears generally have an excellent sense of smell and are also fantastic at climbing trees, swimming and are able to run at speeds of up to 35 mph for short periods of time. All bears are generally classified as carnivores but most species of bear today have adapted various herbivorous traits. For example, the giant panda has a diet that primarily comprises of bamboo. 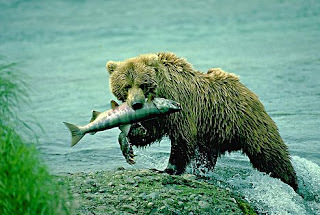 Most species of bear tend to hunt fish over land animals, although its not uncommon for a bear to not eat fish at all. In Viking northern Europe, the locals firmly believed that by wearing a shirt made of bear skin, the wearer would adopt the powerful characteristics of the bear such as the bears strength and courage. 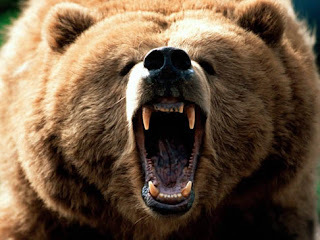 Legend has it that the word berserk is said to originate from this belief from the way the affected men adopting these bear attributes behaved, but whether this is true or not is hard to tell. The Malaysian sun bear is the smallest of the existing bear species, with the average adult sun bear measuring around 1 meter tall. The polar bear is generally the biggest species of bear with the adults growing to over 3 meters tall. 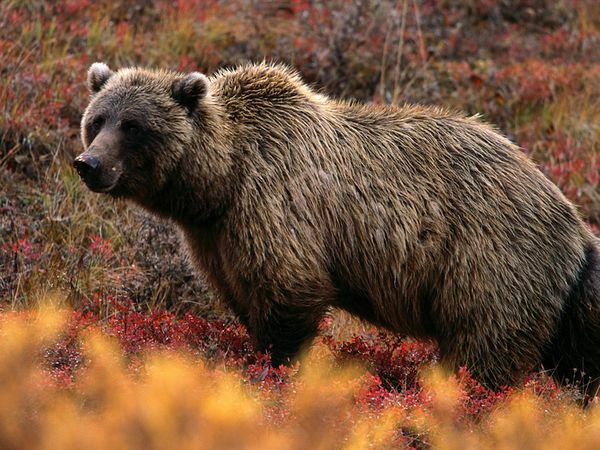 The grizzly bear found in North America is the only other species of bear where the adults can get to this size, but it is uncommon.